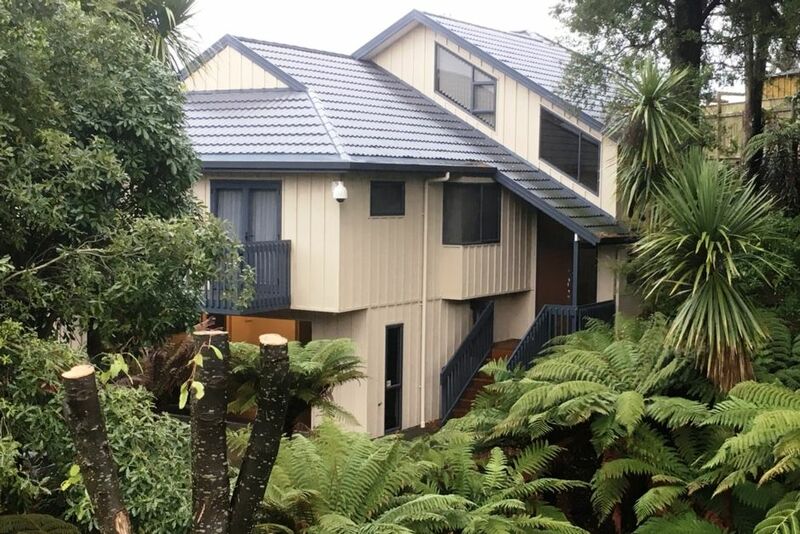 This Taupo Holiday home has everything you could need for the ultimate Taupo holiday, It is very close to town and has a lovely big garage so you can lock the car away and walk to the near by shops or restaurants. This home has lovely open plan living where you can open up the big doors from the Living room onto the deck, an entertainers dream! This family friendly home is very secure so you can relax and enjoy. There is a mezzanine level with a double sofa bed so you can bring an extra two guests if you like. With brand new furnishings, three toilets and spacious deck there is room for everyone! With a view from the deck you can check out lake conditions for an early morning fish, afternoon sail and you can even check out mountain conditions for that Spring skiing day. Easy access to town for all those special sporting events. Please note I may contact you for more information on behalf of the home owners. The house was simply beautiful! Very spacious living areas and bedrooms, clean upon arrival and very warm and inviting. Location was excellent, only a short walk to the hub of Taupo with many restaurants, shops and bars at your fingertips. Kim was a delight to deal with throughout the stay. Would definitely recommend for a perfect Taupo getaway. House was in a great location, walking distance to bars, restaurants and shops. Well maintained and equipped property and big enough for the whole family!! Will definitely stay there again next time we are in Taupo. Thanks to Kim who was very welcoming and took the time to show us around the house. Great house! Kim was very easy to deal with. Great size house and close to town. Beautiful views! Thanks for your feedback. Come back again. 2nd Summer holiday at this lovely home! The house was lovely, the beds very comfortable. The house was lovely, the beds very comfortable. The property is clean, tidy and close to the town centre. Enjoyed our stay. The only negative thing about this property is you have to take all your rubbish with you when you leave. Thanks Vicky, Glad you had a nice holiday.